This is considered to be the most pious form of Rudraksha, In fact faithful take it to be a manifestation of Lord Shiva. According to belief, people are absolved of all sins by merely glancing at this Rudraksha. 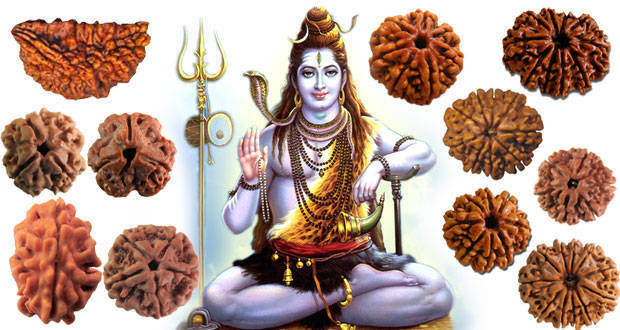 This Rudraksha shall fulfill all desires made by its wearer. Apparently, the Rudraksha also provides moksha (salvation). The Rudraksha will yield positive results within a month if worshiped faithfully. This Rudraksha gives relief from sorrow and other negative emotions. It provides wealth and every other conceivable happiness and convenience. This Rudraksha is beneficial for worshippers of Shiv and is used to deal with black magic and evil spirits. The wearer of this Rudraksha can easily gain control over others. This is an earthly manifestation of the three fires. The Fire Gods can be appeased by those who wear this Rudraksha. This Rudraksha blesses its users with money, knowledge and wisdom. This bead also protects against acute fevers. This is considered to be the manifestation of Brahmin (complete man). The person who wears this Rudraksha is blessed with greatness, riches and also acquires an exalted position. As per the writings of the Agni Puran, those wearing this bead are ensured of purity. This bead also sets unnecessary and unholy sexual desires to rest. It is known to convert atheist to believers. This Rudraksha is ideal for the weak minded as also those who are weak of body. The wearer is blessed with extraordinary success in examinations and education. This Rudraksha also helps in hypnotizing and controlling others. Consuming milk in which this Rudraksha has been boiled can cure mental illness. The wearer of this Rudraksha is dear to Lord Shiva. This Rudraksha eliminates all sorrows from the wearer’s life and cures many illness including inordinate sexual desires. Three beads of this Rudraksha should be stringed together and worn. This Rudraksha represents Swami Kartikeya. Some scholars believe that it symbolizes Lord Ganesha. It is ideal for acquiring wisdom and learning and should be worn on the right arm. This Rudraksha helps gain control over Ridhi and Sidhi as also monumental success in business ventures. This Rudraksha destroys poverty and ensures the presence of Goddess Lakshmi. It cures hysteria, fainting and illnesses related to women. This Rudraksha represents the seven rishis and blesses its user with fame and glory as also an exalted place in public life. This bead is known to bring about affluence and prosperity. This Rudraksha is the manifestation of Lord Ganesha and provides longevity as also the blessings and benediction of Lord Shiva. This bead frees the user from falsity and deception. This Rudraksha is the symbol of Goddess Durga and Dharmaraj. The person wearing this does not fear Yamraj (God of death). It provides freedom from all kinds of sins and one can achieve almost the impossible by simply wearing this. It ensures complete control over enemies and is supposed to bless the wearer with wealth and happiness.